GCHS administration, faculty, staff, students, parents, and veterans from the community witnessed an awesome Veterans Day Special: A Greatful Nation Remembers. LTC Carl Harrison, Col. Wayne Davenport and Sgt. 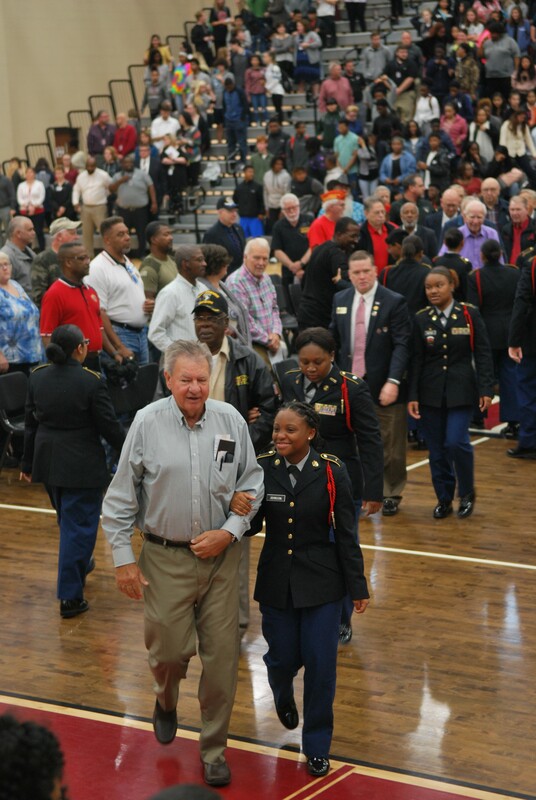 Joel McCoy ensured that the program was impactful and memorable. 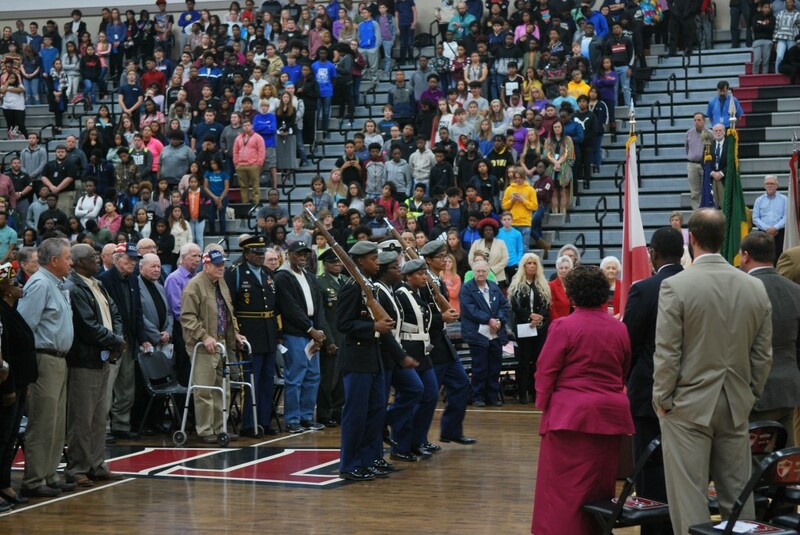 The JROTC Color Guard, Battalion Commander and Cadets all performed their tasks in a spirit of excellence. 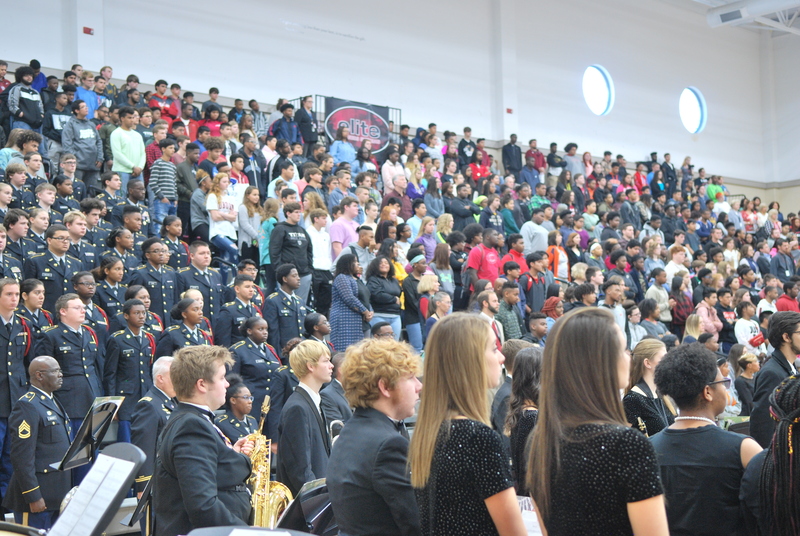 The GCHS Concert Choir, under the direction of Mrs. Gina Garmon and Mrs. Lana Cornutt, performed the National Anthem, Count the Cost and Flanders Fields. Under the direction of Mr. Keith LaBenne, the GCHS Orchestra performed a rendition of selections as Mr. Daniel Sigler, narrated Lincoln at Gettysburg. The GCHS Symphonic Band, led by Mr. Steve Reagan, performed outstanding renditions of American Heroes: An Armed Forces Salute and El Capitan. As the band played the Armed Forces Salute, veterans stood as their service song was played. It was very moving! 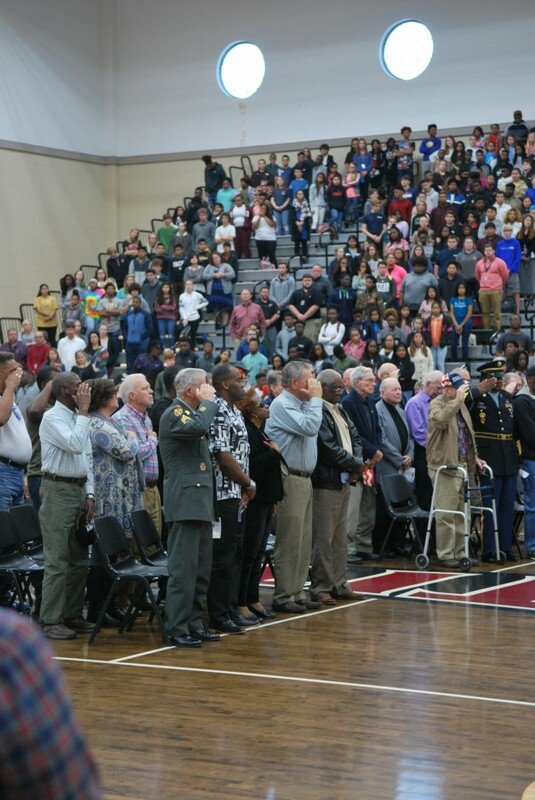 Gadsden City Schools Superintendent Tony Reddick, Board of Education officials and local elected officials were present as well. 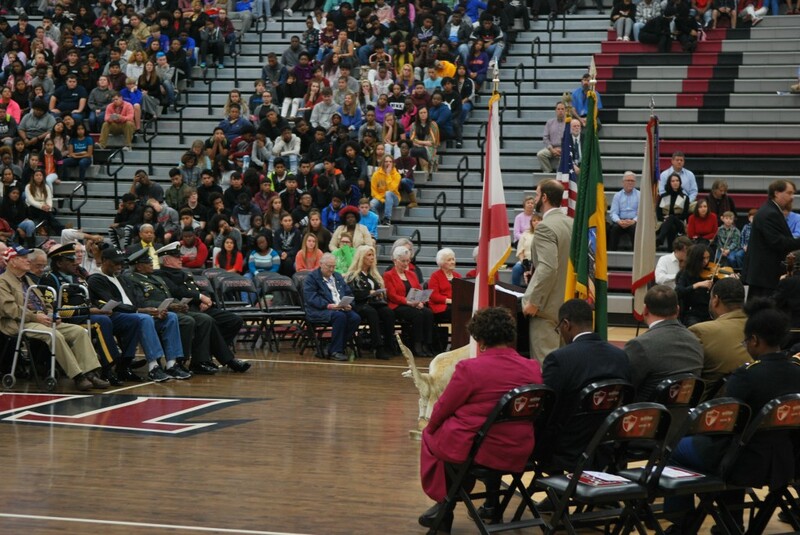 Pastor Keith Dudley served as master of ceremonies. Program attendees stood during the presentation of the colors. 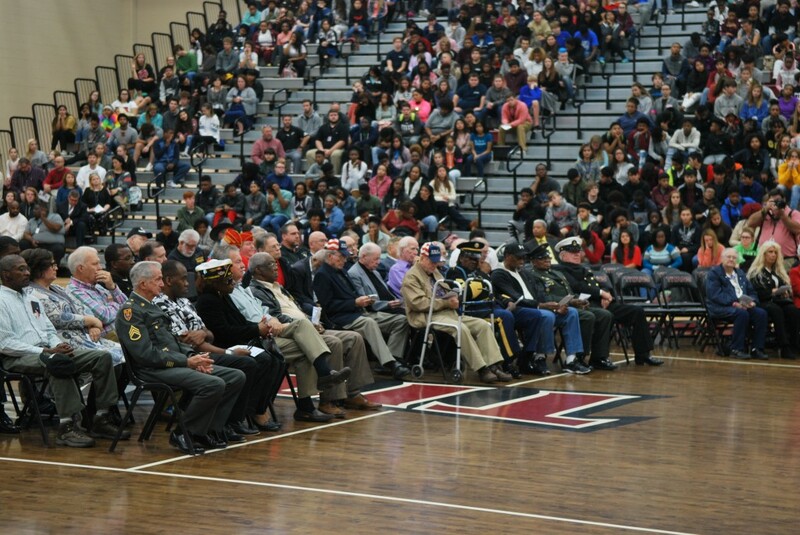 Veterans were honored by being seated in the center of the gymnasium floor. 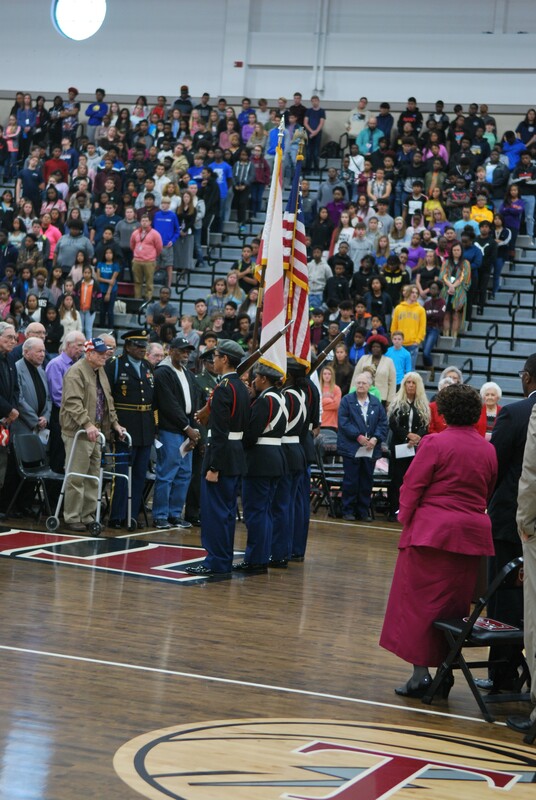 JROTC Cadets prepared to retire the colors. 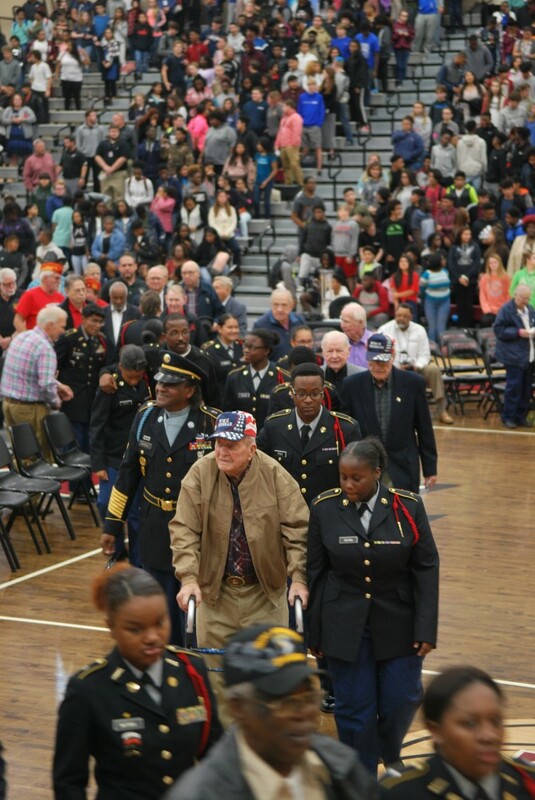 Veterans saluted the U.S.A. flag. 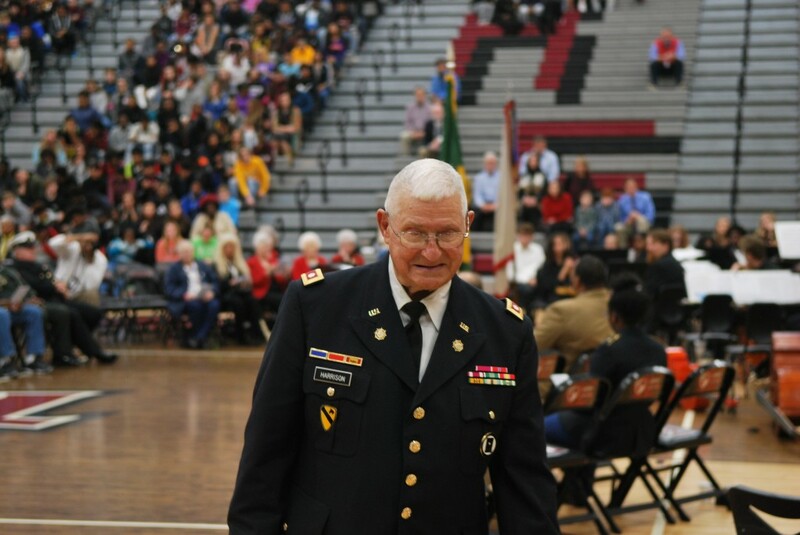 LTC Carl Harrison has faithfully served the Gadsden City School System for more than 40 years.